Outer Ø1430 mm; Total height: 1950 mm; Filter vat agitator with power NORD. Outer Ø1534 mm; Total height: 2230 mm; Mash tun kettle agitator with power NORD. 45 pcs. – HE-18 central control panel of cooling temperature of unitanks CCE-01.blonderbeer. 4 pcs. – HE-18 central control panel of cooling temperature of service tanks CCE-03.blonderbeer. glass bottles with a crown cap. 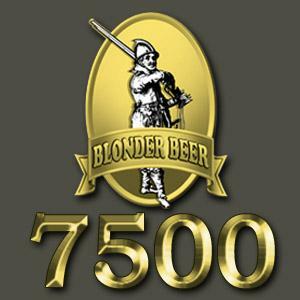 For delivery of the brewery BlonderBeer. Type N 7500 l it is needed 9 trucks or 16 HC40-foot containers. Company TECHIMPEX can arrange the delivery of the brewery to the customer’s company for additional payment. If you specify the city of delivery we will be able to inform you the price of the delivery. Ten persons (four technician-brewers and six auxiliary workers) are needed for servicing the brewery Type N 7500 l.
Installation, regulation and launching of the brewery by trained work team of the company TECHIMPEX included in the price. OPTION 1.After launching the brewery at the client’s company, company TECHIMPEX will send the brewer for 21 days in your company for thorough training of your staff (included in the cost of the brewery). NOTES: This option of the training included in cost. To get a full offer and approximate scheme of arrangement the minibrewery, please fill up the form placed on the contacts page.